Increasingly large, bezel-less displays, slim bodies, and smartphone frames that gradually abandon physical keys. Those are the biggest trends, but not for Samsung, which seems to have an unstoppable passion for clickable keys, so much so that they’ve decided to add a new one to the Note 9. 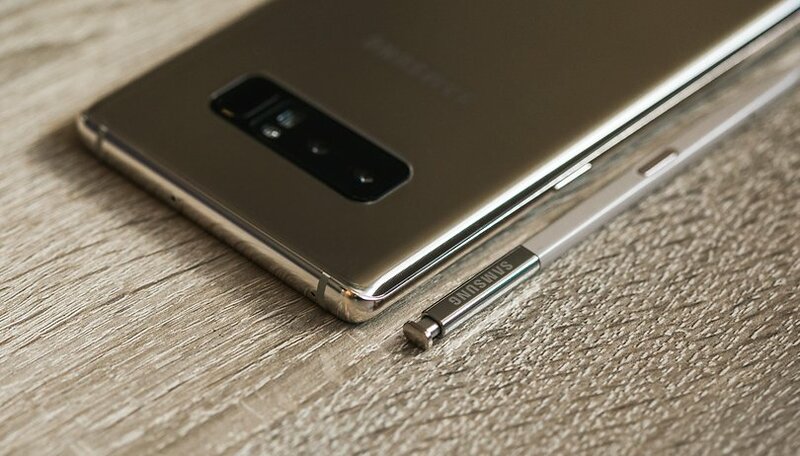 Can you imagine the Note 9 with 5 physical keys? How many physical clickable keys does your current smartphone have? The most common answer is two: power on and volume control. Some devices do this with a single button, others with two. If you have a Galaxy S8 or S9 you’ll answer three. How could you forget the South Korean voice assistant? The addition of the physical button for Bixby on the S8 created such a fuss for users who found themselves with a button that’s useless and isn’t reprogrammable. Even despite this, Samsung seems like it doesn’t want to give up. The South Korean manufacturer’s designers must have a particular passion for these buttons, and the Note 9 will be equipped with a fifth physical button. Last week Android Headlines announced that there could be five physical keys on the Note 9. The announcement showed a protective cover equipped with 5 holes for 5 physical keys. The button will be located at the bottom of the right or left side and may be involved in the use of the camera. The news reported on the Korean site mentions the brand’s recently registered trademark for perfect capture technology. It’s unclear what it specifically does, but the term suggests it has to do with the camera. It might take pictures, start video recordings or take screenshots. Nothing is certain, at least for now. If we look at what HTC has done with the new U12+, Samsung looks more like a countertrend. The Taiwanese manufacturer has given up clickable keys in its new flagship. There are slight protrusions in the aluminum frame that will remind you of more traditional buttons, but they’re actually completely immobile. HTC has implemented the same technology that it used in Edge Sense to detect where a key is pressed or not. HTC removed the buttons on the U12+! Is it better to remove or add them? These are personal preferences, but if you consider the evolution of voice commands and smartphone bodies, I personally find the HTC approach more interesting. If you think about LG’s way of thinking about smartphones of the future, the addition of new physical keys seems poorly executed. When I think of the smartphones of the future, I’m thinking of flexible displays, minimalist designs and voice interaction that can operate all the offered functions. But that’s my personal opinion. New high-end smartphones should get rid of physical keys. According to the leak, this isn’t a physical key dedicated to the camera, but two holes that allow you to use a lanyard. So everything is still unresolved at this stage. Do you prefer HTC's approach or do you think a physical camera button would enhance the photographic experience and be useful? I LOVED having a dedicated photo shooting button on my Lumia Icon! Wish I had one on my Android phone. Pressure sensitive buttons, they don't work properly. A new announcement shipping delays. Remind me not to order this 800.00 dollar plus phone. Then the worst, no carrier support here in the US. How the heck can you expect great sales without support. Who's in charge? Your OnePlus hypocrisy is showing. You praise their added physical control for silencing the phone, but hate whatever Samsung is doing without even knowing what it does. HTC has ruined a potentially great phone. What else is new? ?